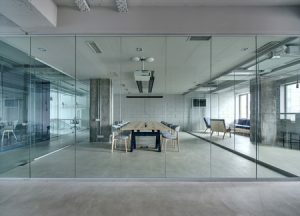 There are so many different ways that you can use glass to give your office space a more upgraded look. You can create an entire conference room table out of glass to set it apart from the rest of your furniture and impress your clients. You can also utilize glass when creating stairways and railings. 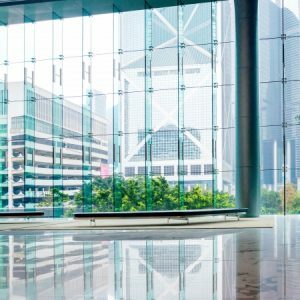 You’ll get to enjoy several benefits when you add glass walls to an office space. For starters, it will give your office an open and airy feel that will encourage productivity and collaboration. Your employees won’t feel isolated and closed off from everyone else when they’re sitting in a private office or conference room. It will also provide your employees with natural light and make the space more enjoyable for them. It will even make a small space appear to be bigger than it really is when you have glass walls installed rather than standard ones. Additionally, glass walls will provide you and your company with a flexibility that you simply wouldn’t get with regular walls. Whether you’re running an accounting firm or a copywriting agency, you will be able to repurpose the rooms created by your glass walls accordingly as your business grows. As long as you have the right company installing your walls, you’ll be able to create separate sections in your office that can be utilized for whatever you want. Bent glass on the outside of your building can help make it look more appealing to passersby. Instead of seeing an everyday, mundane brick building, people may start to wonder what you do, which could lead to potential business – depending on what you offer. It could also give potential employees a great first impression when they walk in for an interview. Bent glass offers your business a distinct and professional look. You could also have the bent glass tinted. This would provide protection from UV rays from bombarding anyone sitting in your office’s entrance and offer a slightly colored look to your building’s interior. You could also add bent glass to the stairways throughout your building to add a classy accent. Often added in the space between the railings and steps, bent glass would help give the inside of your business a sleek and sophisticated look. Bent Glass Design supplies bent glass for numerous businesses in the architectural and specialty industries. Our glass will make your building and business look great – both for you and your clients. If you would like more information on the services we offer, please contact us today! Since glass ithiner, I would think the space would not only seem larger, but be larger.